University 4.0 is an upcoming phenomenon that is advancing rapidly in higher education services, where the traditional hierarchy of the Universities will be challenged for its sustainability. In India, only universities that are able to adapt to the automation of pedagogy will be able to transform themselves into modern Institutions and deliver a hi-tech experience for students. We may witness a revolution in higher education, where technology will have a pivotal role in the emergence of new era universities. The Future of Higher Education in India: Online Programs is organized by India Education Forum in partnership with Netaji Subhas Open University exclusively for the leaders of HEIs, to understand, interpret, discuss and brainstorm on the trends and opportunities for Online Learning in India. The summit will assess the current situation, challenges and opportunities relating to the Distance Education in India in light of the recent developments. Participants will be encouraged to share their experience and best practices on the technological advancements leading to the future era of Universities. The speaker panel will focus on the vision of Online Universities in India with a focus on legal, economic, cultural and technological parameters. The implementation of University 4.0 model isn't as simple as it appears, given the condition that the Universities need to obligatorily meet the measures of UGC regulations for online programs in India before the set due dates. We are at a turning point of a revolutionary change and there is a dire need for all the leaders of higher education to come forward for a collective contribution. The Future of Higher Education in India: Online Programs is an opportunity, where the leaders and associated stakeholders of HEIs can focus on specific areas from their own perspective and academic experiences. The summit will address every clause defined by the UGC for online programs with an objective to create a profound plan of action for implementing online programs in India. Participants/Attendees Vice Chancellors, Directors, Deans, UGC/MHRD officials, Industry/Employers Representatives etc. Vice Chancellors, Directors, Deans, UGC/MHRD officials, Industry/Employers Representatives etc. Mr Vikrant Pande has donned many hats. After working in the corporate sector for nearly 22 years, having worked for large Multinationals like GE Capital, CitiFinancial, MetLife Insurance, he moved to the field of Education. 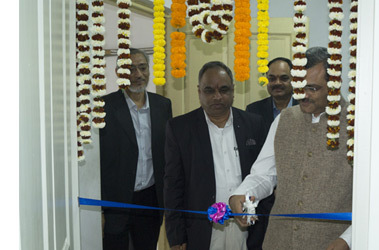 He was the founding Provost and Vice Chancellor for India's first Vocational Skills University, TeamLease Skills University at Vadodara, Gujarat. Mr Pande served as the Provost for 5 years till 2018. 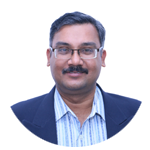 Mr Pande served on the Industry Academic Advisory Board of IIM Udaipur for 4 years till 2014. 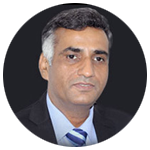 He is currently a member of the Academic Council of Bhartiya Skill Development University, Jaipur. He has been a frequent guest speaker at IIM Udaipur, IIM Indore, IIM Bangalore and ISB, Hyderabad. Mr Pande is currently President of Northern Arc Foundation, a CSR activity of Northern Arc Capital, Chennai, and is engaged in providing employability to youth across India, especially in areas of Micro Finance, apart from supporting Research in areas of lending and microfinance. Mr Pande is an accomplished translator and has translated many novels like Shivaji the Great Maratha, Shahenshah, The Life of Aurangzeb, Rau, the Love story of Bajirao Mastani amongst others, from Marathi to English. He is a regular speaker at various Literature Festivals across India and writes occasionally for Swarajya magazine. His articles have appeared in various top newspapers. 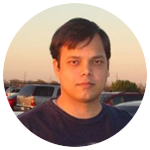 Mr Pande is a Mechanical Engineer from MS University of Baroda and an MBA from IIM Bangalore. Vipendra focusses on strategy development and implementation, building capabilities in operational analytics, driving revenue generation for the organisation. Prior to joining SchoolGuru, Vipendra was the Director- Enterprise Sales of NSDC, where he led the sales transformation for the business. He started his career as a Registrar in Krishna Institute of Engineering & Technology, Ghaziabad and has over 18 years work experience in the Education sector. He has worked in various organizations in India and Middle East such as Gulf Training Solutions, Tally Solutions, NIIT, IBM and UTS Global and has held key positions. Vipendra holds a MBA degree in HR and BSc degree from Chaudhary Charan Singh University in Meerut . He also received a LLB degree in Industrial Relations. He is passionate about outdoor activities like trekking and playing golf. Prof. (Dr.) Dhrubajyoti Chattopadhyay, Hon’ble Vice Chancellor of Amity University, Kolkata, graduated as a Bachelor of Science from the Presidency College, Kolkata in 1973 with a major in Chemistry. He did his Masters in Science in Bio-Chemistry in 1975 and completed his PhD in 1984 from Department of Bio-Chemistry at Bose Institute, Calcutta. 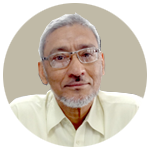 Prof. Chattopadhyay was the Dean, Faculty of Science at the University from 2003 to 2007 and was the Pro-Vice Chancellor of the University from 2008 till 2015. He was also the Director at the Centre for Research in Nano Science and Nano Technology at the University during 2007 - 2015. He has received numerous awards, accolades and distinctions in his career. He received the prestigious UNESCO-IUMS-MIRCENS-SGM fellowship at the University of Texas. He was also the Fellow of the Indian Academy of Sciences in 2004 and Fellow of West Bengal Academy of Science and Technology in 2006. 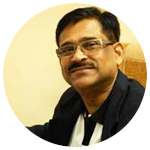 Dr. Chattopadhyay has life time memberships in various Organisations and Scientific Associations. He has a teaching experience of more than 35 years and guided many PhD students. He has around 102 research papers and 6 book chapters to his credit till date. Prof. (Dr.) Dhrubajyoti Chattopadhyay is a scientist and academic par excellence. He has an established track record of highly innovative ideas and in-depth research activities. Kusumba Seetharama Rao (born 1955) obtained M.A. (1977), M.PhiI. (198I) and Ph.D. (1999) from Kakatiya University recipient of Gold Medal in M.A. Public Administration and UGC Fellowship Award for his doctoral programme. 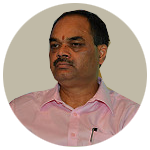 Earlier Dr.Rao worked as Professor of Public Administration and Human Resource Management in Kakatiya University. 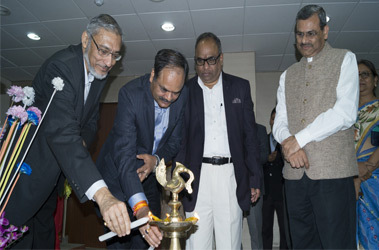 At present Dr. Rao is working as Vice-Chancellor, Dr.B.R.Ambedkar Open University, Hyderabad. o his credit Dr. Rao has published ten books and more than seventy seven papers in Telugu and English in leading journals and edited volumes. His areas of interest in the discipline are Administrative Theory, Public Policy Studies and Studies related to Rural and Tribal Development, Agrarian Transformation, Management of Common property resources and Local Governance. Besides he has undertaken eight major and minor research projects sponsored by the UGC, ICSSR and Government of Andhra Pradesh and also supervised more than eleven research scholars who worked for Ph.D. and M.Phil. Degrees. He has visited Universities of Southampton and London, the Institute of Hydraulic Research, Wallingford and School of Oriental and African Studies (SOAS) of UK in 1989; Athabasca Open University, Canada, Cleveland State University, USA in 2004; North Dakota State University (NDSU), Fargo, North – Eastern University, Boston, USA in 2009; American Society for Public Administration (ASPA), Washington DC, USA in 2012, UESTC, Chengdu and ISAS, Sichuan University, China in 2014. He has also participated in many a national and a few international seminars and conferences. Apart from more than three decades of qualitative teaching and responsible research work contributed in the discipline of Public Administration Dr. Rao has occupied prominent administrative positions such as Head of the Department, Chairman, Board of Studies and Member-in-charge of the University Library. Deputy Director and Joint Director in the School of Distance Learning and Continuing Education (SDLCE), Director of Self Finance Courses and University PG Colleges and Coordinating Officer, UGC Unit of the Kakatiya University and Dean, Faculty of Social Sciences. As Vice-Chancellor is initiating various Academic and Administrative Reform Measures to introduce minimum standards and quality in educational programmes and integrating Regular and ODL System of Higher Education in India. Besides this Dr. Rao is active member of various academic and social service organizations, active participant of Human Rights and Telangana Statehood Movement. Dr. Anirban Ghosh is working as an Associate Professor in Netaji Subhas Open University, Kolkata and has been teaching postgraduate students of Commerce and Management. 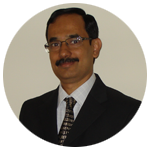 Dr. Ghosh has completed his postgraduate degree in Commerce (M.Com) and Master in Business Administration (MBA). He has also completed his Ph. D in Corporate taxation. His area of interest is Corporate Tax and Accounting Since he is working in the Open and Distance Learning Institute, he has also completed his Post Graduate Diploma in Distance Education (PGDDE). Additionally, Dr Gosh has completed the wikieducator online trainning programm at IGNOU-STRIDE. Dr. Anirban Ghosh has had the honor to receive the prestigious AAOU Staff Exchange Fellowship from Korea National Open University in 2010 and from Shanghai Open University in 2014. Ajay leads the Recruitment Services Business for TeamLease with focus on building the Recruitment Services foot print across all Industries and the strategic Recruitment Process Outsourcing (RPO) Services. 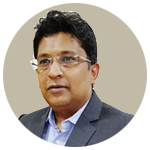 He graduated with a Bachelor’s Degree in Economics from Mumbai University and has 20 years of experience in Training & Recruitment with high exposure to activities like Strategic Sales, Client Relationship Management & Business Operations. He joined TeamLease in November 2005 and during his stint he has built a robust recruitment process with large hiring clients especially in Banking & Financial Services. Previously, was associated with Aptech Limited in their Training & Corporate Sales function. 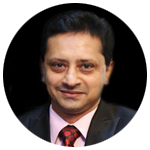 Shantanu Rooj is one of the founding member and CEO of SchoolGuru Eduserve Pvt. Ltd. He is a CBSE All India Topper and a Gold Medalist from Institite of Technology, Banaras Hindu University followed by a Masters in Management Studies from Jamnalal Bajaj Institute of Management and Executive Management Program in Global Business Management from IIM,Kolkata. Shantanu has earlier held key positions in HCL-Hewlett Packard Ltd. But the entrepreneurial itch was too hard to resist and he decided to quit his job and founded Paradyne (now called Glodyne) followed by Broadllyne and SchoolGuru. He is a passionate education entrepreneur, investor and speaker. He also serves on the Board of SchoolGuru Eduserve. Mr. Ashwini Kumar leads the Education Solutions vertical at Microsoft India. He also leads the scientific computing initiative and the AI charter for Education for the country at Microsoft India. Over the last 13 years at Microsoft, Mr. Ashwini Kumar has helped multiple governments and large enterprises across the globe to conceptualize as well as realize benefits out of Information technology initiatives. His interest area is Intelligent Cloud projects of significant scale, volume and complexity. Currently, he is focusing on helping higher education institutions in building capability for delivering future ready skills. He is also working on helping institutions improve research and publication outcomes. He is part of Microsoft`s worldwide higher education advisory council. He is a member of the board of studies of multiple higher education institutions. He participates regularly in advanced technology related discussions at multiple government, industry and academic forums. He was a part of the team which was awarded by the Honorable President of India for Swayam project at MHRD. Dr. Bhabaranjan Sarmah passed B.E. in Mechanical Engineering with Honours from Assam Engineering College. 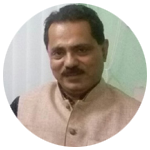 He completed Master of Engineering degree in Tribology and Maintenance Engineering from Devi Ahilya University, Indore and received PhD degree in Engineering from Gauhati University. He completed post graduate certificate course in French language. He has also undergone advanced training on CAD, CAM and Robotics from Melbourne, Australia. 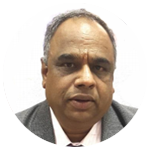 Prof. Sarmah started his career as a lecturer in Mechanical Engineering at Assam Engineering Institute in 1989. He has many national and international publications and also authored course books on Refrigeration and Airconditioning for Govt. open University of the state. He was the faculty expert for N.E. India for the project National CFC consumption Phase-out Plan of ministry of environment and forestry of Govt. of India in association with UNDP, Govt. of Germany and Govt. of Switzerland from 2004 to 2010. He visited many countries like Australia, Germany, Italy, Switzerland, Singapore, Korea, Thailand and China and participated as panelist in various seminars and conferences, including AEDC Summit at Hangzhou, China. Last year he conducted a one-day workshop for faculty members of Engineering Colleges of Nepal at Kathmandu. 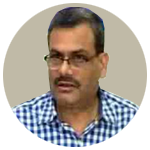 At present he is the Controller of Examinations of Krishna Kanta Handiqui State Open University. He is also consultant of Assam Science and Technology University. Besides being the National Executive council member of ISTE, he is the first person from North East India to be elected as National Vice President of Indian Society for Technical Education, New Delhi. Note: Please note that this an exclusive event for esteemed leadership of higher education and participation in the event shall be by invitation only. Kindly email us at contact@indiaeducationforum.org to receive your Complementary Invitation Pass for yourself. You are then requested to enter the passcode in the registration form to activate the complimentary invitation pass. A Registration fee of Rs 800/- is applicable for all other attendees otherwise.